Gatte ki sabji is a traditional Rajasthani speciality which is a Gram flour dumplings with dry spices, steamed and then dunked into a yogurt based curry. 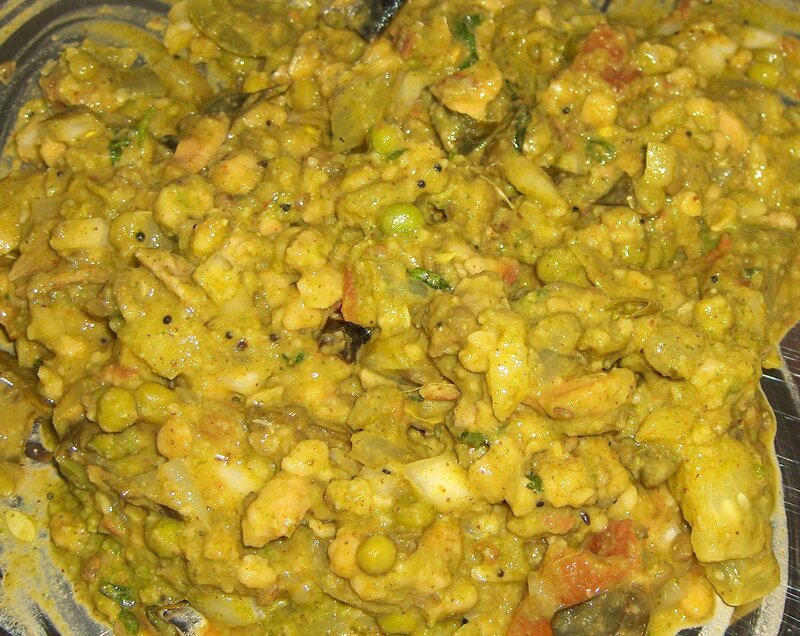 You can enjoy this dish either with puri, chappati or steamed rice. 1. Combine all the ingredients for the gattas. 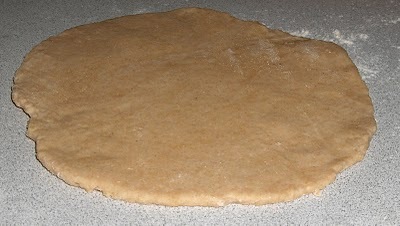 Knead into a firm dough using 1 or 2 tbsp of water. 2. 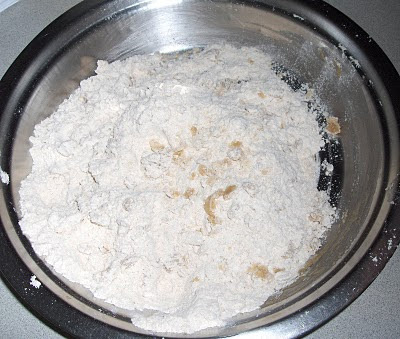 Divide the mixture into 8 equal portions and shape each portion into a 75 mm. (3") long cylindrical roll. 3. Boil plenty of water in a pot, add little oil in the water and cook the gattas in boiling water for 7 to 8 minutes till they float on top. Drain and keep aside. 4. Cut the gattas into 12 mm. (1/2") long pieces. keep aside. 1. Combine the beaten curds, gram flour, 1/2 cup of water and curry leaves and mix well so that no lumps remain. 2. 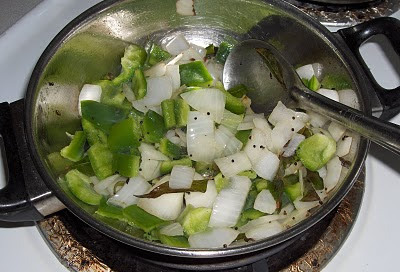 Heat the oil in a pan, add the cumin seeds, mustard seeds, fennel seeds, asafoetida, bay leaf, clove, and cardomom. 3. When the seeds crackle, add the turmeric powder, chilli powder and corainder powder and saute for few seconds. 4. 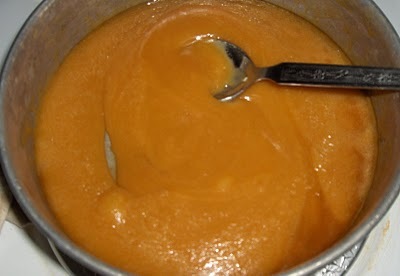 Add the curd mixture, 1 cup of water and salt to bring to a boil while stirring continously, so that the curry does not split. Simmer for about 10 minutes and keep aside. 1. Add the prepared gattas to the curry and bring to a boil. 2. Garnish with chopped corainder, serve hot with puris, chappatis or steamed rice. 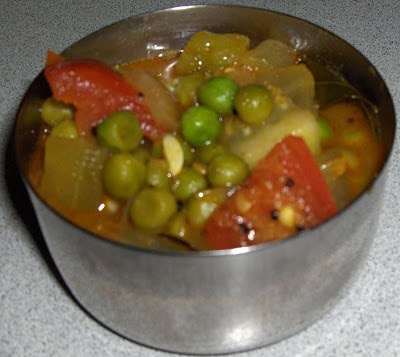 This side dish or subji is eaten with Dal-batti or just with Chapati/Roti (Indian bread). 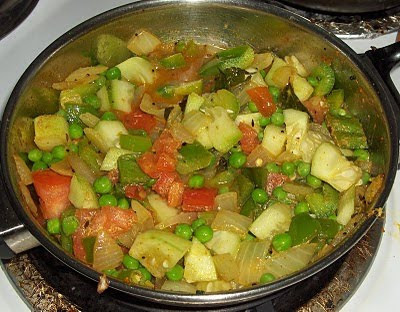 It is made with any variety of vegetables, but usually consists of onions, peas, tomatoes and capsicum. 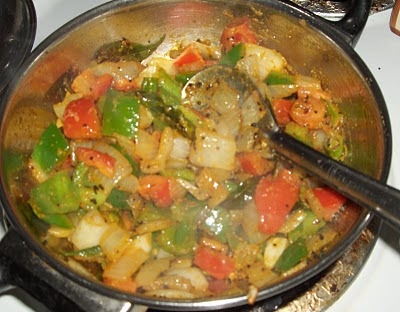 Spices are then added to the sabji to give it a very distinct taste. 1. In a pan add oil, mustard seeds and cumin seeds (jeera). When they start to crackle. 2. 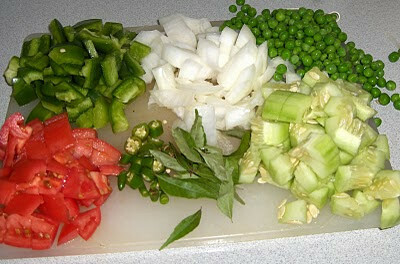 Add asafoetida (hing), curry leaves, green chilli and onions. Fry them till they are translucent. Add capsicum. Fry till they are half cooked. 3. Add peas. Fry for few minutes, then add tomatoes. Cook for sometime. 5. Add the cucumber and water and cook with the lid on, simmer for few minutes till the vegetables are cooked. 6. Garnish with corainder leaves. Serve hot. 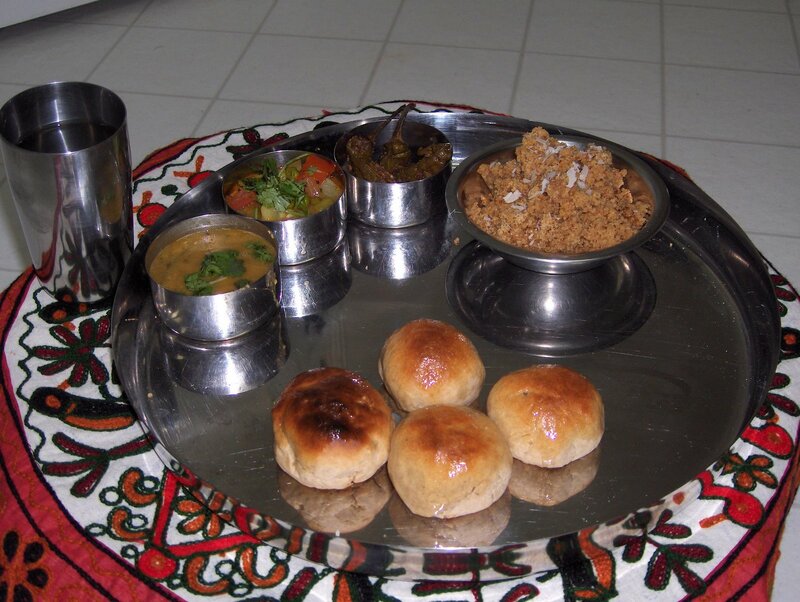 Dal-baati is incomplete without the quintessential "Churma". 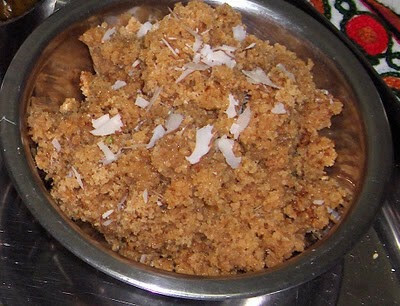 Churma is a very basic Rajasthani sweet. 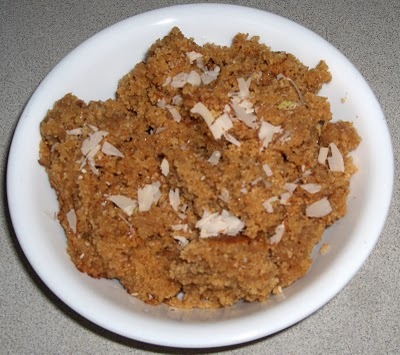 Churma is made using wheat flour, ghee and jaggery which are the main ingredients and the only ingredients. It is very easy and simply to make and tasty to eat. Enjoy!!! 1. 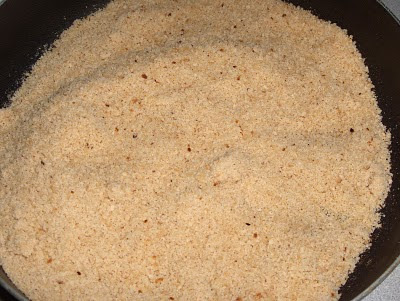 Pour hot ghee in the wheat flour and mix until it looks like breadcrumbs. 2. Add little water and prepare hard dough. 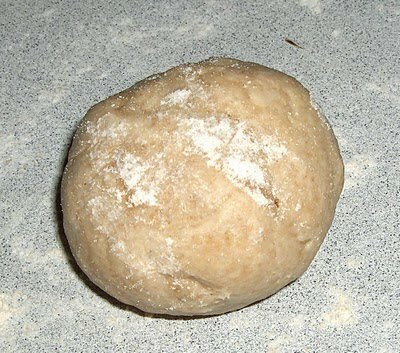 Leave the dough aside for half an hour. 3. Make thick chapatis and roast them on a tawa on low flame. While roasting them on tawa pinch the chapatis on both the sides, so that it will cook it from inside. 4. Make fine powder from these cooled chapatis with the help of a mixie. Sieve it into fine powder. 5. 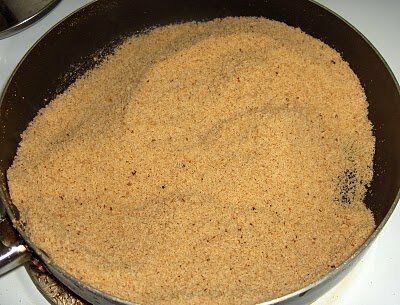 Transfer this powder in a pan. Fry the powder mixture till it is brown in color. 6. 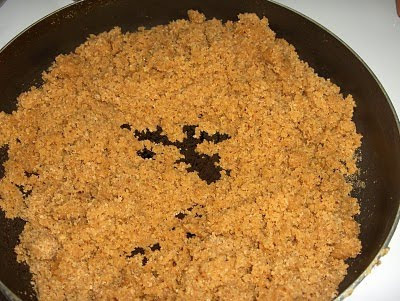 In a separate pan, add ghee, jaggery and water and cook it till the jaggery melt into a consistent paste. 7. 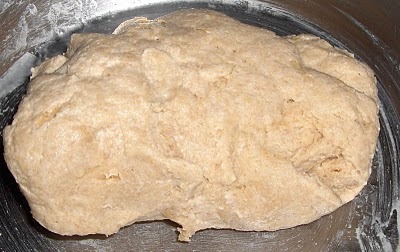 Add jaggery paste to the mixture. 8. 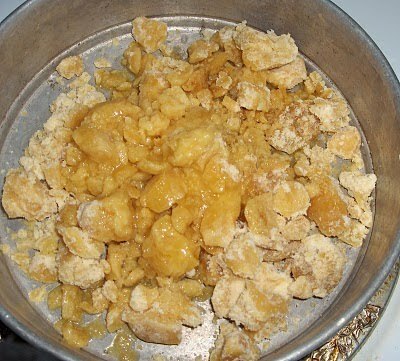 Mix well till it turns soft and no lumps of jaggery are left. 9. Garnish with chopped almonds. unsalted. 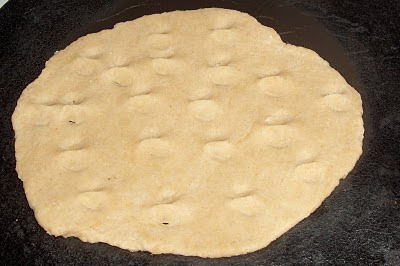 This unsalted dough then shaped into rounds and cooked on the tawa on low flame. 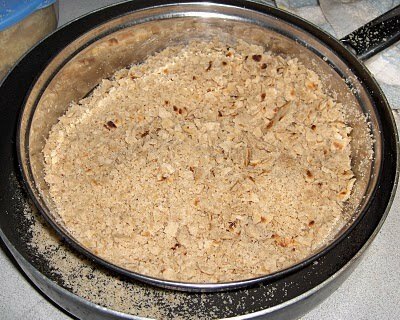 Later these baatis are crushed and sugar or jaggery is mixed into them along with ghee to make a sweet dessert- churma. The three together, simple though they sound, make a very filling meal. No Rajasthani festive or wedding menu is complete without this popular recipe. Another way of eating Dal Baati is by crushing the baati add ghee, dal, onions, athana mirchi, lime juice, mango pickle, sabjis - mixed vegetable and gatte ki sabji and mix all together for a tasty and delicious meal.